October 27: Mayor Bloomberg broke ground on the renovation of Schmul Park and Playground in Travis. The park dates to in 1939 and bears the name of the family that donated a piece of their farm to the city. Read the article in the Staten Island Advance. 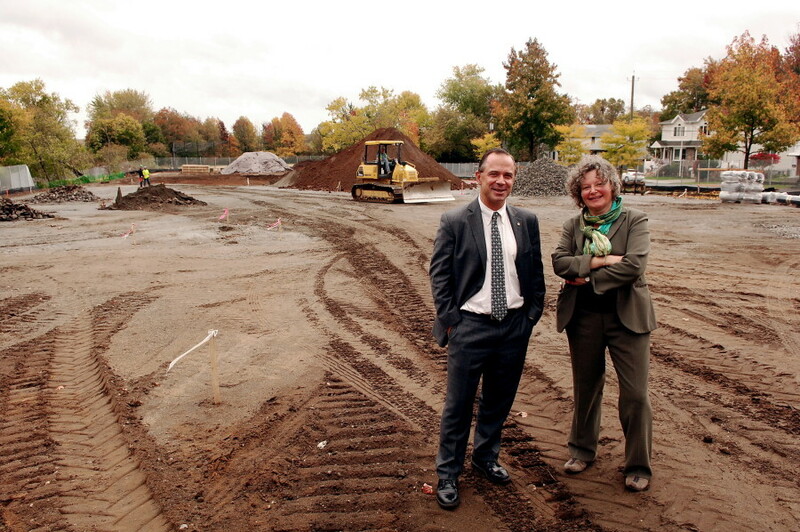 Pictured: Parks Commissioner Adrian Benepe and Freshkills Park Administrator Eloise Hirsh.